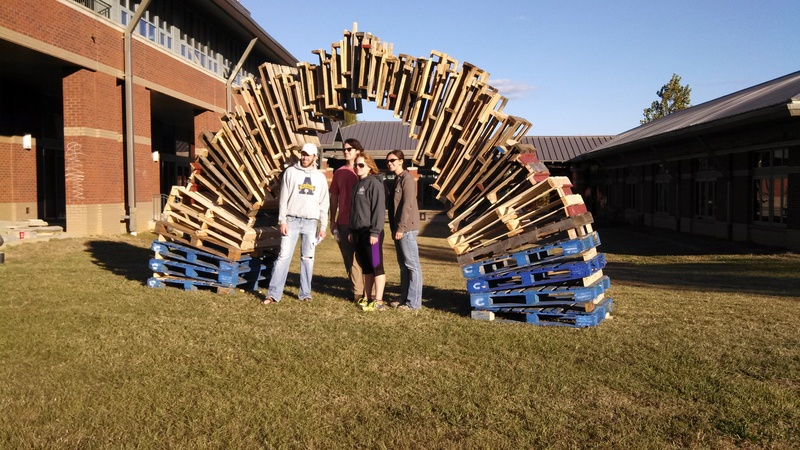 Each year landscape architecture students create a unique sculpture from found materials to enhance the department's courtyard. Each sculpture has a unique story, however they are typically inspired by a prominent artist. The installations are designed to be temporary and are typically built in one or two days at most. They allow students to explore design principles at the scale of the landscape and participate in a fluid, three-dimensional design process.